Disabilities are often viewed as something uncomfortable to look at, something that makes the person looking feel bad. For the people with disabilities, it’s just another day and another person who is uncomfortable looking at them. People who have disabilities deal with everything anybody else deals with, from emotional swings, to jobs, hobbies and rest, the only difference them having a disability. 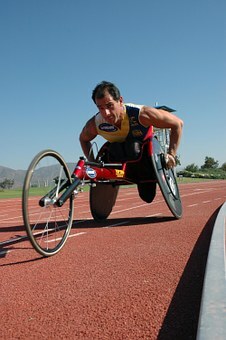 People with disabilities often compete in sports, as professional athletes, the most notable occasion being the Paralympic Games. Today, organized alongside the Olympic Games, taking place at the same time, they feature a lot of sports with athletes who can have many different disabilities. Sports advertisements have come a long way since the introduction of advertisements on the TV. People with disabilities find their way into advertisements, too, especially the ones for sports. There is one advertisement which stands out above the rest, the advertisement for the 2016 Paralympic Games. This advertisement is a music video which features over 140 professionals, athletes and otherwise, with disabilities. They range from blindness to having no arms. But, what comes as a very pleasant surprise is that all of these people do the things that regular people do, even better. Alwin Law is a drummer, who drums with his feet, holding the sticks as if he had arms and hands. His drumming is superb. Bartek Ostalowski is a racer and loves to drift. He lost both his arms in a motorcycle accident but has since mastered driving with his feet. His left foot operates the steering wheel, while his right foot operates the gas, brake and electronic brake. His uses his right shoulder to shift gears. Jonatha Bastos is a pianist who was born with both of his arms partially formed. He has been playing piano since his early childhood. Many more athletes have shown the world that disabled is only one word to describe them, the others being persistent, passionate, strong and willful, and many more. From wheelchair races to sprints with one or two legs missing, the athletes involved in the “We’re The Superhumans” video advertisement showed the world what it means to be superhuman. 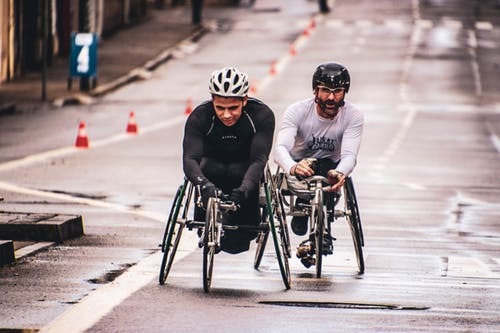 In their own words, it does not mean being disabled and competing at the Paralympic Games, but rather doing what you love to do and practicing what you are passionate about. Advertisements like that one can send a very important message to people who are frequently uncomfortable when seeing people with disabilities, and that is that they are just humans who are different but still humans. Sports advertisements will continue to feature disabled people, as raising awareness and showing what it means to turn a no into a yes is very important.